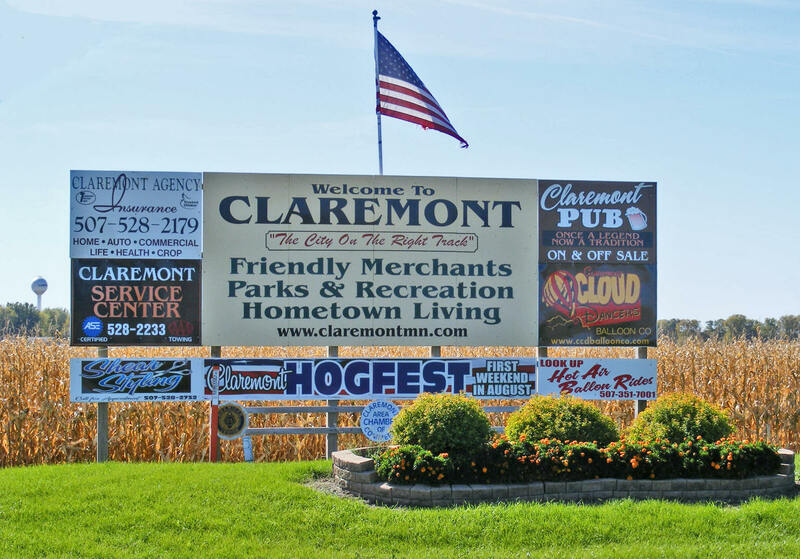 Claremont, located in Dodge County, Minnesota, is a small town meant for families and people who love the peace and quiet. It’s not as busy as say, Minneapolis, but it’s a cozy place that people can call home, and be proud about. Less than 600 people are living in Claremont, which is home to a little over 230 households and close to 160 families. It’s not as crowded as metropolitan cities with under 540 people per square mile. It’s also a pretty welcoming neighborhood with people of Native American and Hispanics and Latinos sharing the space with white Americans. Around 40 percent of the households have children below 18 years old, while over half of the houses had married couples occupying them. A little over 32 percent of the homes have residents who were not family members, which again shows that the town is indeed welcoming. It is also a friendly community to the elderly, as one in every 10 households has a senior citizen living in it. As mentioned, Claremont is a great place to invest in real estate, especially for those who want to start a family or settle down. About 30 percent of the population are children under the age of 18. Steve Liefschultz helps people in Claremont and surrounding areas in Minnesota invest in real estate. For more investment tips, follow this Twitter feed.